Did you (finally) land an interview with a new company? As you put your best foot forward to land the job of your dreams, follow these five Stylist tips to show off your killer professional style. Keep reading our Stylist’s tips for creating the perfect interview outfit. Before your start to pick out your winning interview outfit, think about the office (or workplace) that you’ll be interviewing at. Are they more buttoned-up and business or laid-back in jeans? Use that intel to pick a starting point in your closet (or in your note to your Stylist). You’ll be meeting your potential colleagues for the first time, so show off your style chops and personality! Don’t be afraid to show off your signature style—as long as it’s office appropriate. Have a chambray shirt that you wear at least once a week? 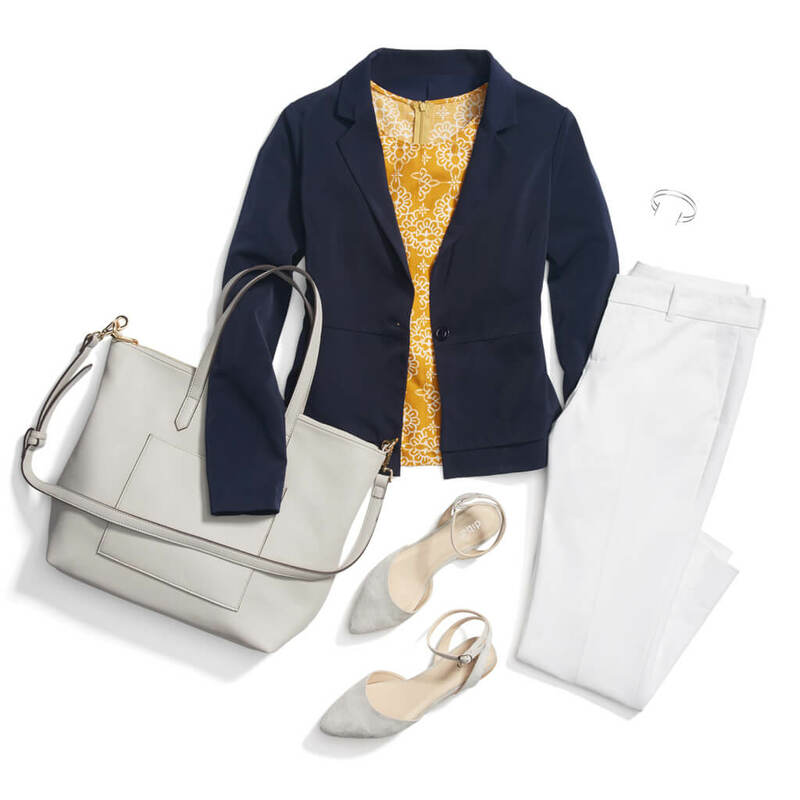 Dress it up for the office with a pair of flat-front trousers and a tailored blazer. They say that practice makes perfect, so why not rehearse your responses in your outfit? Try it on and make sure you’re sitting comfortable in your ensemble. Your mind should be on those curveball questions that might come your way, not how tight your skirt is or a gaping button on your blouse. Editor’s tip: Grab a friend and practice! Run through those classic interview questions to nail down your responses and get feedback before the real thing. Don’t just look to the weather as a small-talk topic! Before you leave for your interview, double-check the weather and make any last minute adjustments from there. Cold and drab? Layer on a pair of tights underneath your shift dress and throw on a pair of ankle booties. Hot and sunny? Stay warm in the office by bringing along a lightweight layer like a thin cardigan or a blanket scarf to the big interview. Editor’s tip: Always err on the side of being a little bit overdressed! Be remembered for looking more polished—not anything less. Show them that you’re detail-oriented by completing your look with some knockout accessories. If you’re toting your chicest handbag, try sporting a bright handkerchief tied around the hand for a pop of color—it will show your interviewer that you took an extra step to style your look (which means you’ll go the extra mile in the new position, too!). Need a new interview outfit? 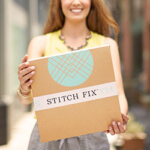 Schedule a Fix to get your look taken care of.